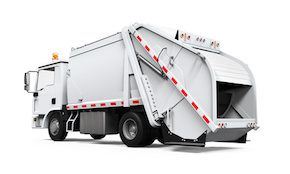 Tuning Garbage Collection is no different from any other performance-tuning activities. It is important that the goals can be set and measured the three dimensions, all relevant to performance tuning. These goals include latency, throughput and capacity, understanding which I can recommend to take a look at the corresponding chapter in the Garbage Collection Handbook. The code is submitting two jobs to run every 100 ms. Each job emulates objects with the specific lifespan: it creates objects, lets them leave for a predetermined amount of time and then forgets about them, allowing GC to reclaim the memory. Reducing infrastructure costs while making sure we can still achieve reasonable latency and/or throughput targets. The experiment ran the same code with different GC algorithms and different heap size to measure the duration of garbage collection pauses with regards to latency and throughput. Details of the experiments and interpretation of results are presented in our Garbage Collection Handbook. Take a look at the handbook for examples in how simple changes in configuration turn the example to behave completely differently in regards of latency, throughput of capacity. Note that in order to keep the example as simple as possible only a limited amount of input parameters were changed, for example the experiments do not test on different number of cores or with a different heap layout.